Seriously friends, Cheesy Hot Crab Dip is awesome. Set a dish of this on the deck with a bowl of tortilla chips at your next cookout, and it will surely disappear before the grill is ready. Summer is short. Have some delicious fun! Step 1) Use an electric mixer to beat the cream cheese in a medium size mixing bowl for about 30 seconds. Add all remaining ingredients except for the shredded cheddar cheese, and blend well. Step 2) Transfer the cheesy crab dip mixture to a pie dish (9 inch diameter). Spread so that the top is even, and sprinkle with shredded cheddar cheese. Step 3) Bake your Cheesy Hot Crab Dip in a preheated 400 degree oven for 15 minutes, or until the dip is bubbly and the top begins to turn golden brown. Step 4) Allow to cool slightly (5 minutes or less) before serving. Step 1) Bring water, salt, brown sugar, and whole mustard seeds to a boil in a large pot. Stir well to make sure all of the brown sugar is dissolved. Remove from heat. Add ice cubes to the brine, and stir to melt the cubes and cool the brine. Step 2) Place the pork roast in a gallon size ziploc bag, and set the bag in a pan with sides (in case the bag leaks). Carefully ladle brine into the ziploc bag to cover the pork roast, and close the bag. Refrigerate for 24 hours. Step 3) After 24 hours, remove the pork roast from the brine and place the roast in a baking pan with a lid. Step 4) Whisk together 1/2 cup vinegar and 1 cup BBQ sauce. Pour this mixture over the pork roast, and place the lid on the baking pan. Step 5) Place the covered pork roast in a preheated 300 degree oven for 6 hours. Really, 6 hours. 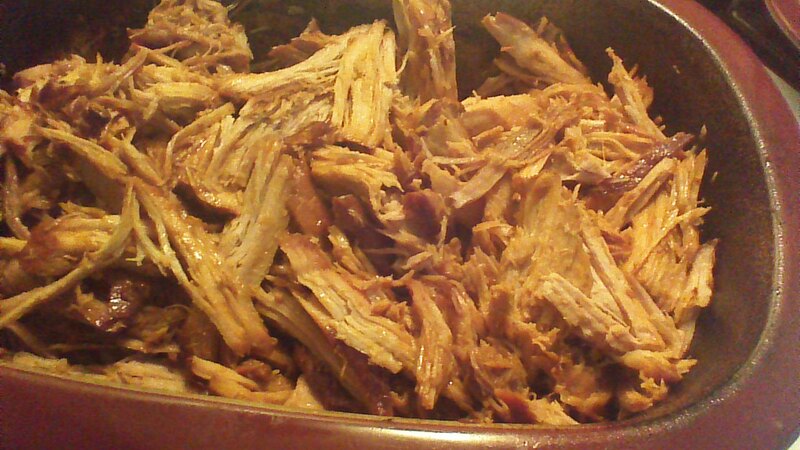 Step 6) After 6 hours, remove the lid from the baking pan and pull the pork roast apart with forks. This will be very, very easy! 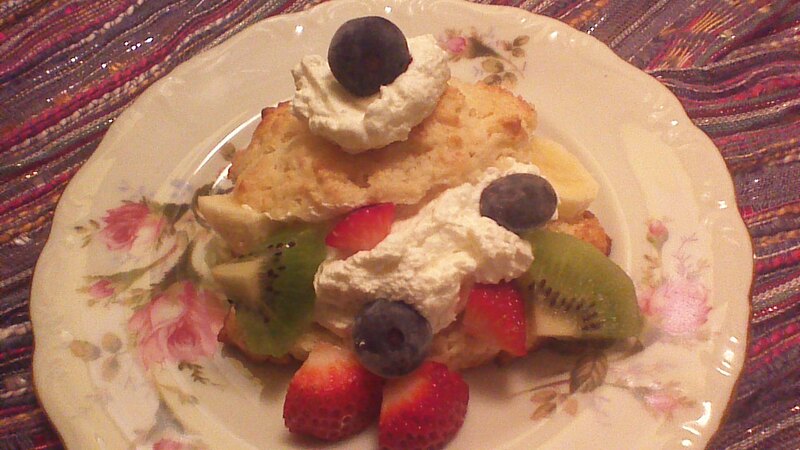 Serve with rolls and coleslaw. Enjoy! 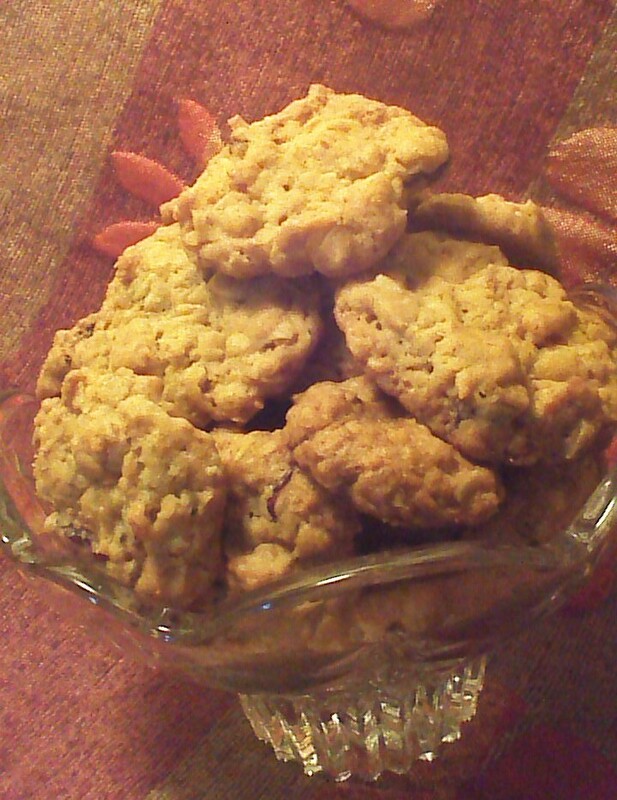 My Mom makes these and, like everything my Mom makes, Raisin Crunch cookies are delicious. I enjoy Raisin Crunch Cookies with coffee, because they are crunchy enough to hold up to a quick dunk. To be fair, I enjoy anything with coffee, but still… Happy baking! Step 1) Cream together butter, sugars, egg, and vanilla. Add flour, baking soda, and baking powder. Mix well. Step 2) Fold in cereal, coconut, and raisins. Step 3) Drop heaping teaspoonfuls onto baking sheets lined with parchment paper. Bake in a preheated 350 degree oven for 14 – 16 minutes or until cookies are lightly browned. Step 4) Remove from oven and allow cookies to rest on the baking sheets for 4 minutes. This helps them to crisp – and these cookies are supposed to be crispy! After 4 minutes, transfer cookies to cooling racks. Allow to cool completely before covering and storing. I’ve had this recipe for almost 20 years, but this is the first time I’ve prepared it myself. 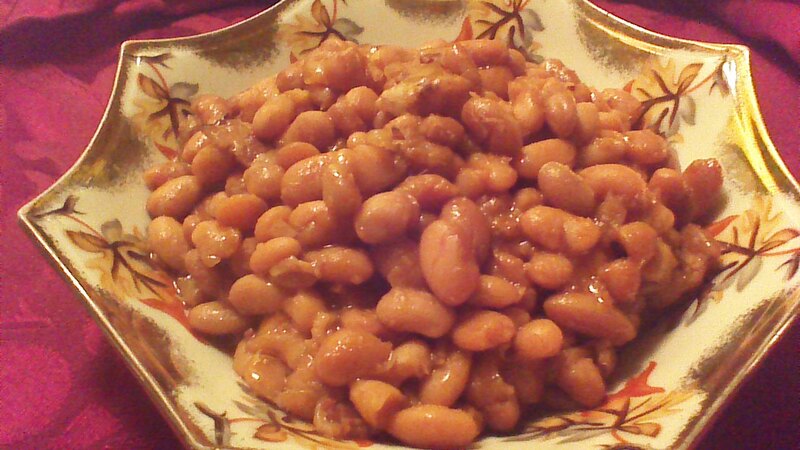 It’s not that I don’t enjoy Great Grandma’s Baked Beans, but rather, the recipe is such a classic that a big Nesco of these Baked Beans reliably pop up at big family gatherings brought by someone else. I’ve come to associate Great Grandma’s Baked Beans with summer cookouts, paper plates, and conversations with first- and second-cousins. Like all recipes which begin with dry beans, this recipe takes time. However, that doesn’t mean it’s complicated! I hope you’ll give them a try. *Great Grandma used a whole pound of bacon, but I only used 1/2 pound. Also, I cut the pieces smaller. 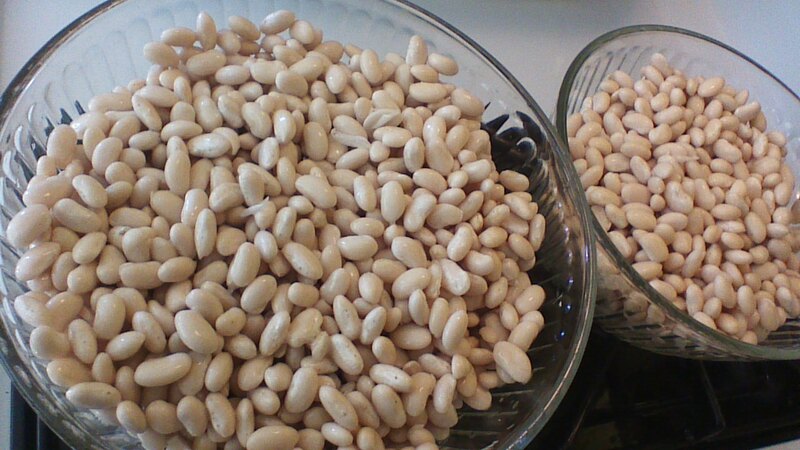 Step 1) Soak dry white Northern beans in water overnight. They will expand a LOT! Place your beans in a 3-quart bowl or larger, and cover with several inches of water. Step 2) The next day, drain the beans and sprinkle with 1/4 teaspoon of baking soda. Cover beans with boiling water and let stand for 5 minutes. 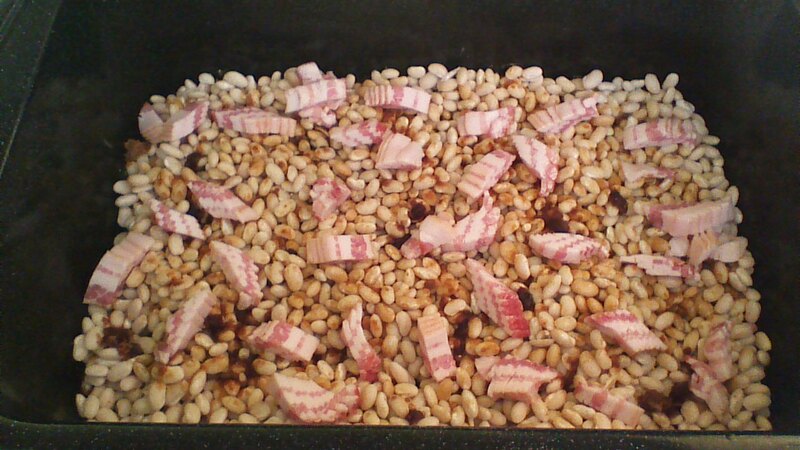 Step 3) Drain the beans again and transfer them to a large pot. Cover with fresh water and simmer (don’t boil) for 15 minutes. Drain the beans one last time, and transfer them to a Nesco or other large slow-cooker. Step 4) Add all remaining ingredients to the Nesco, and cover the beans with water. I added approximately 6 cups of water. Step 5) Bake in the Nesco or other slow-cooker at 300 degrees or “high” (if your slow cooker only has “low” and “high” settings) for 4 to 5 hours, or until beans are very soft. Add more water as needed so that beans don’t get dry. 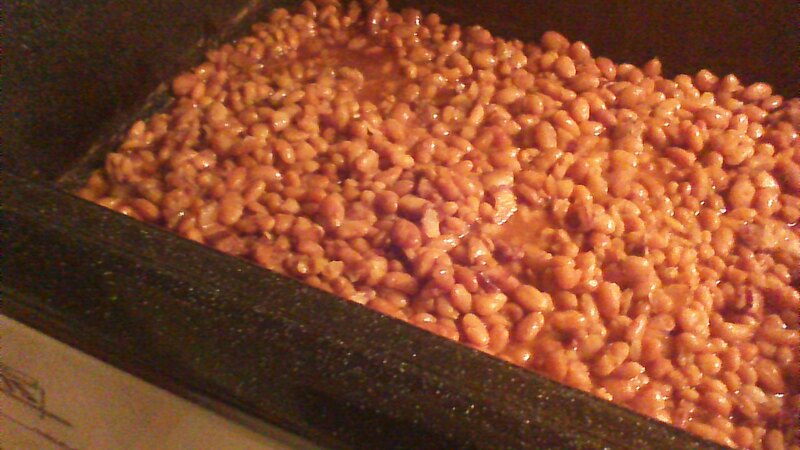 I added approximately 2 cups of water after 3 hours of cooking, and allowed the beans to cook for 5 hours total. Step 6) Enjoy with paper plates, family, and friends!